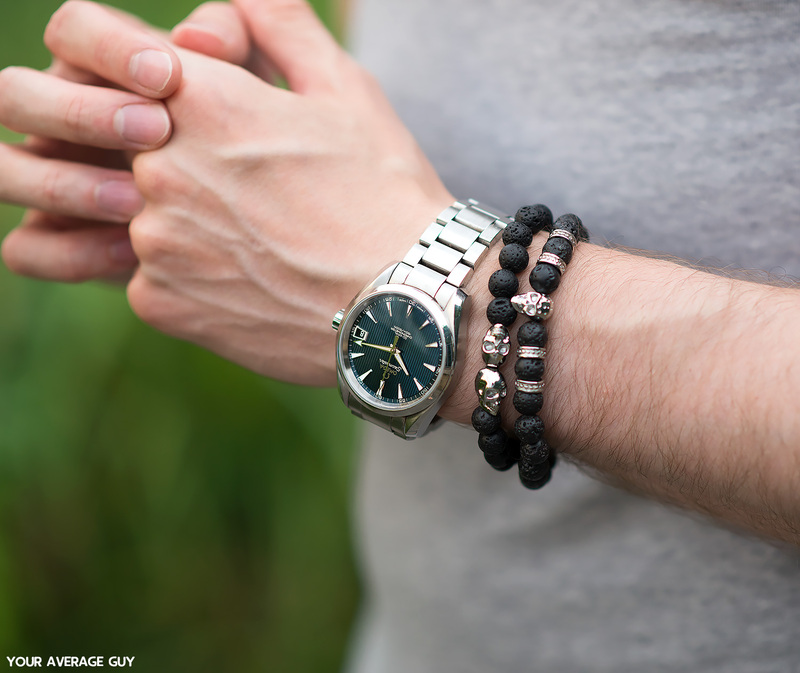 Mens bracelets are something which have always alluded me, partially because I never encountered one that really grabbed my attention. The primary reason is due to the simple fact that I believed they wouldn’t fit in with my wardrobe choices. Times change, my fashion choices are constantly evolving from week to week, it wasn’t so long ago I would never have even worn a baseball cap or super skinny jeans! 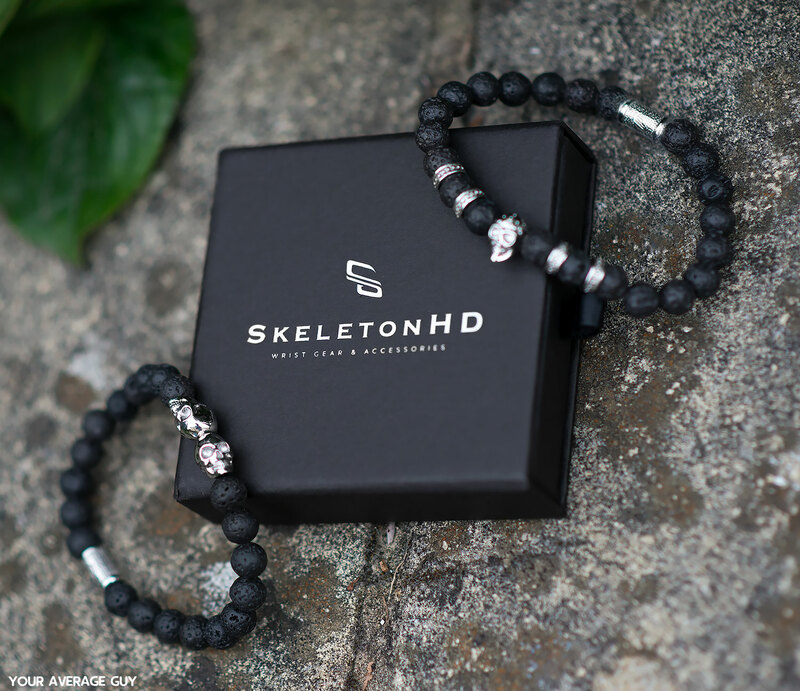 So with that in mind, I’ve teamed up with Skeleton HD to review one of their bracelets, this will surely give me the chance to decide once and for all if mens jewellery is something that fits in with my style! 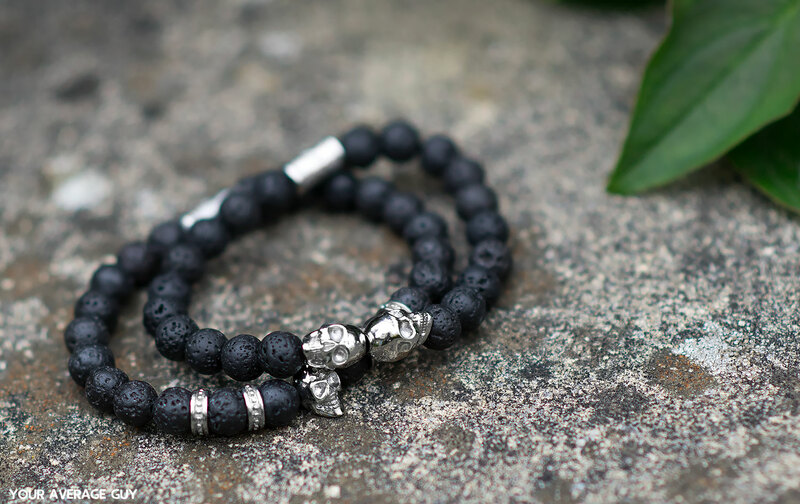 I chose the Skeleton HD Outlaws Silver Twin Skull Bracelet from their range, as I was attracted to the darker colour scheme. The item arrived surprisingly fast (despite the International shipping from Canada) and I was greeted with small yet sleek gift box. Jet black in colour, barring the white text printed on the top. The box opens in a slide out drawer style, smoothly without any noticeable problems. 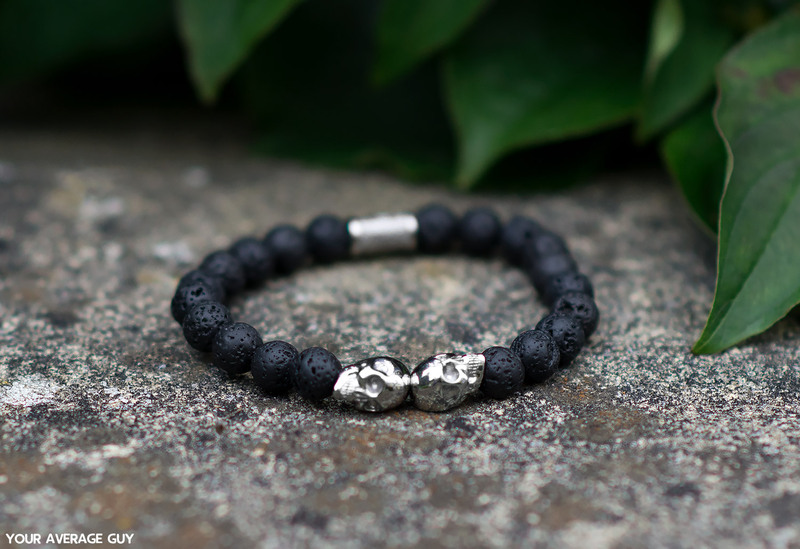 The design of this bracelet features black volcanic lava stone beads which have a very distinct texture to the touch. Each piece has its own individual indentations, almost visually comparable to tiny craters. Compared to the typical smooth designs of other beads this allows for a very unique look. 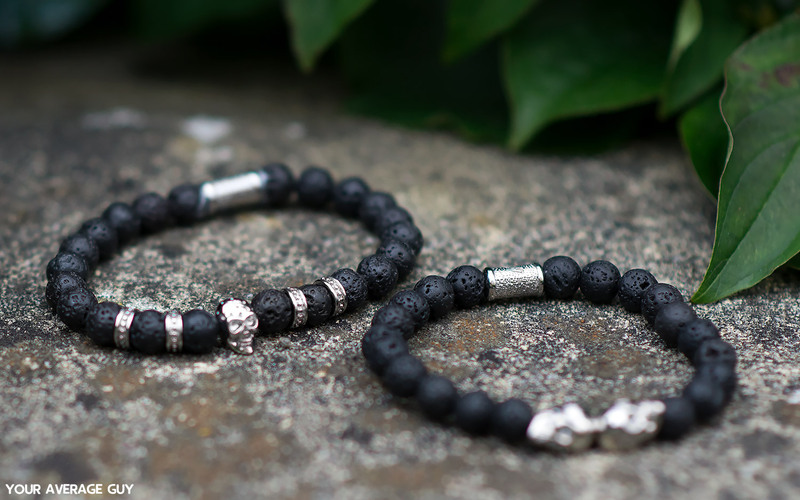 The two silver skulls give a striking contrasting effect against the deep black beads. The bracelet is definitely of a higher quality, no flaws or defects could be found on close inspection. Slipping on the bracelet gave no problems thanks to the expanding internal elastic. Skeleton HD offers a one size fits all policy, choosing a standard size which is ensured to fit any wrist, no matter the size. 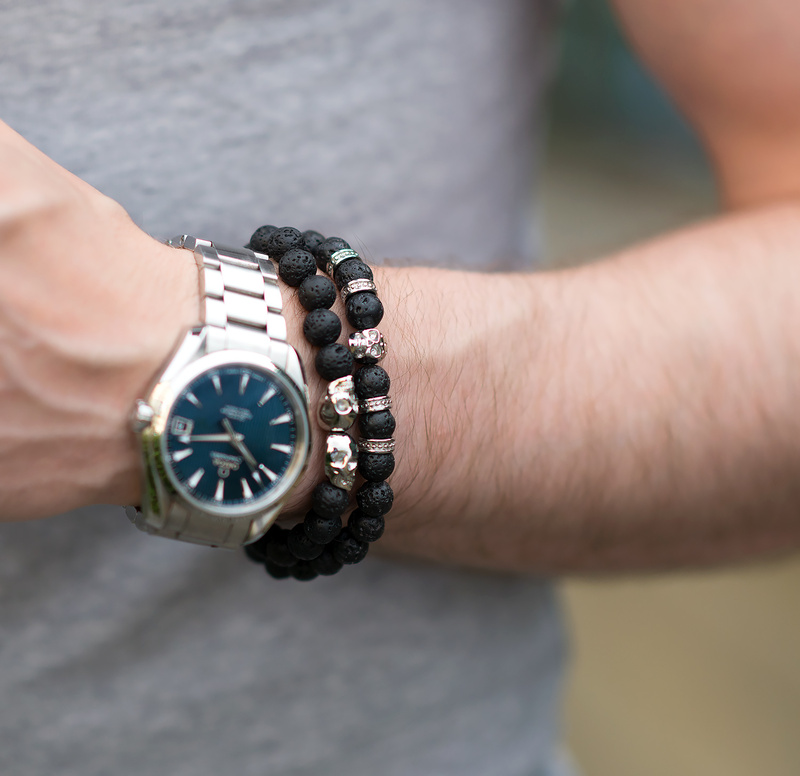 Wearing the bracelet throughout the course of the day caused no ill effects, in fact within a very short amount of time it became second nature to wear! Only noticing it was there to admire its design or perhaps to check my watch for the time. In summary I can give this Skeleton HD Outlaws Silver Twin Skull Bracelet a top score! Well made, beautifully designed with an excellent price point! Definitely highly recommended. I can also safely state my first foray into wearing mens jewellery was a resounding success! I actually enjoyed having an additional accessory to pair with my outfit, in fact I can definitely see this opening doors for future jewellery purchases to wear on my mens fashion blog. 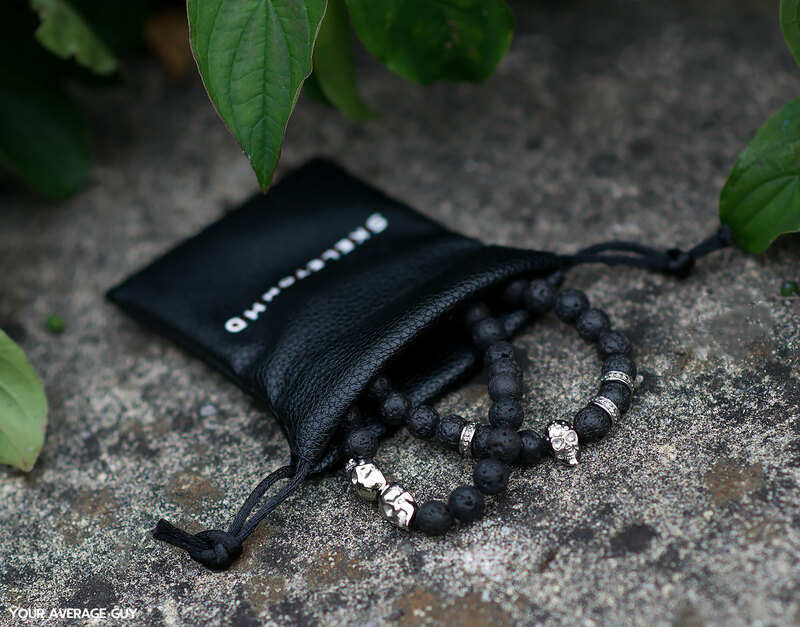 Please let me know what you think of the bracelet in the comments below. Glad you like the look of it! WoW! It looks cool. The bracelet is very beautiful. It is a really nice bracelet!